Britain Through Books are proud to present the superb Fellranger Collection of Lake District walking guides by Mark Richards from Cicerone Press, and to be able to do so at a significantly reduced price. For individual volumes click here. Author Mark Richards combines his passion for the Lake District and artistic flair with all the information the experienced walker needs to explore and enjoy the fells of the English Lake District. 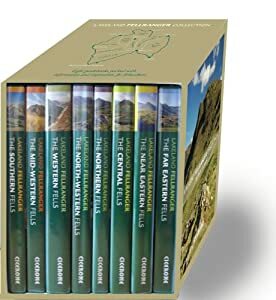 The eight books in this series offer a comprehensive guide to anyone wishing to explore Lakeland more thoroughly. For each of the 227 hills covered, these guidebooks offer a dedicated chapter, with full descriptions of a range of both undiscovered and time-honoured routes, full-colour Harvey maps and clear elevation diagrams, detailed summit panoramas and plenty of inspiring photographs.